We are celebrating the start of Spring this week on The SEN Resources Blog. 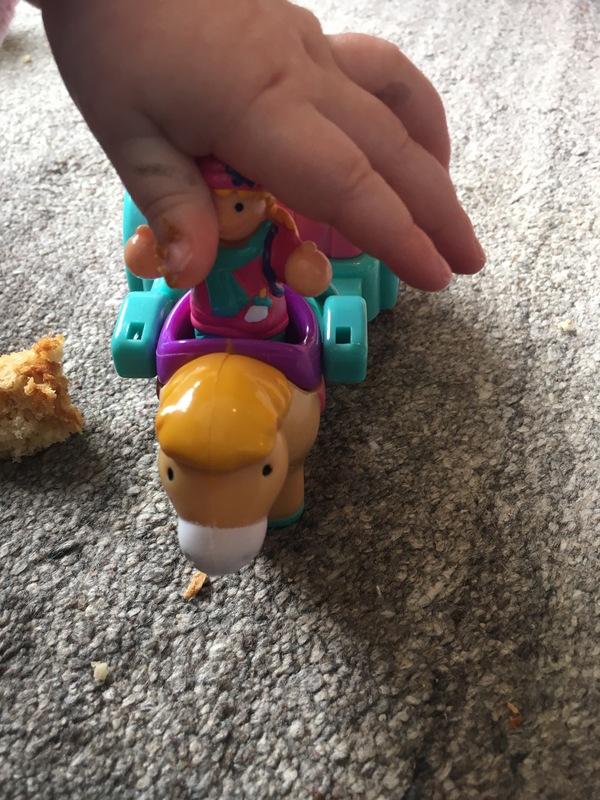 We have been having great fun playing with these toys that fit into our spring theme perfectly.. Marys Day Out and Freddie Farm Truck by WOW Toys. 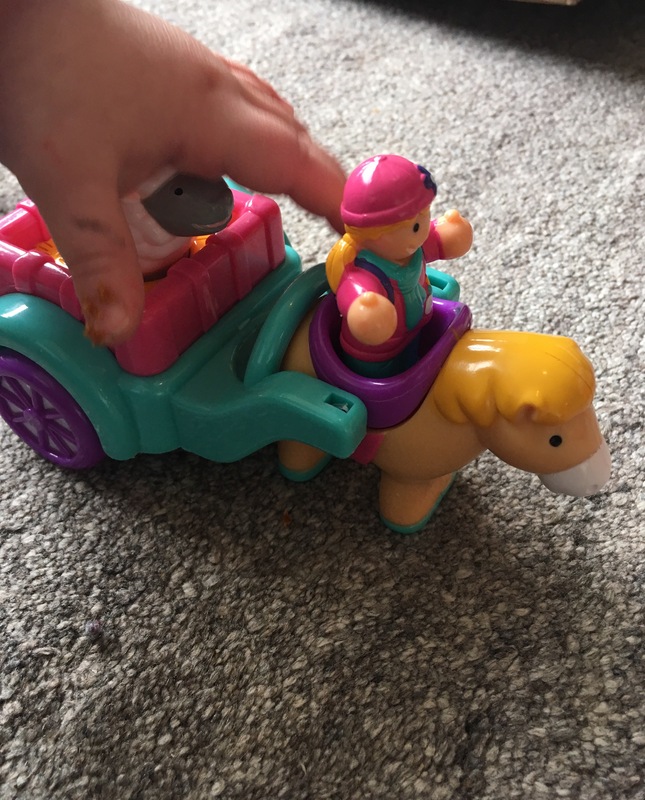 If you’ve read my blog before you’ll know that we are big fans of WOW Toys (have a read of our reviews of Ronnie Rocket & Roll it Riley) WOW Toys are fantastic as they are designed to be safe for little ones, with no small parts. They also don’t have batteries- meaning they are quiet (always a bonus!) and they aren’t going to run out! What did we like about Mary’s Day Out and Freddie Farmtruck? Encourage Imaginative Play Skills- As soon as the children opened the boxes they were immersed in small world play and their imaginations. 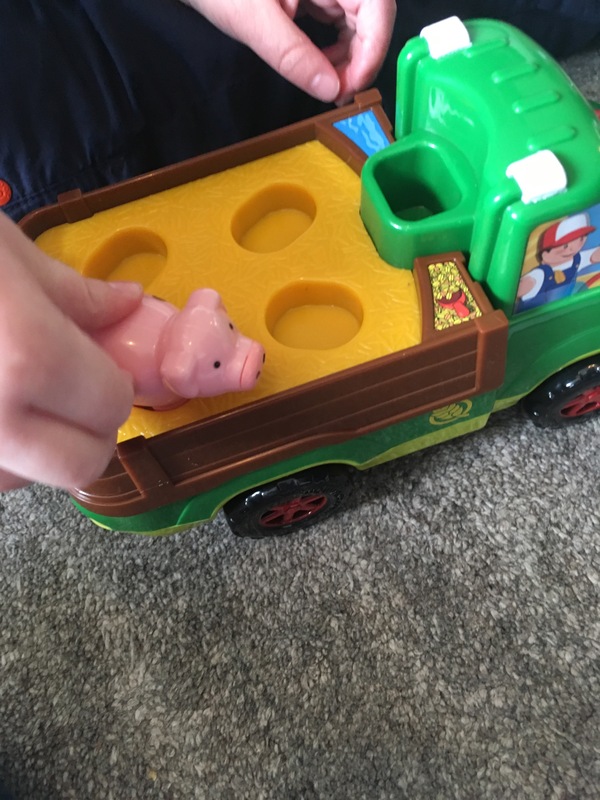 Freddie Farm truck was loading his farm animals into the back of his truck, taking them to markets, back to the farm, showing them to visitors and letting them play in the fields. 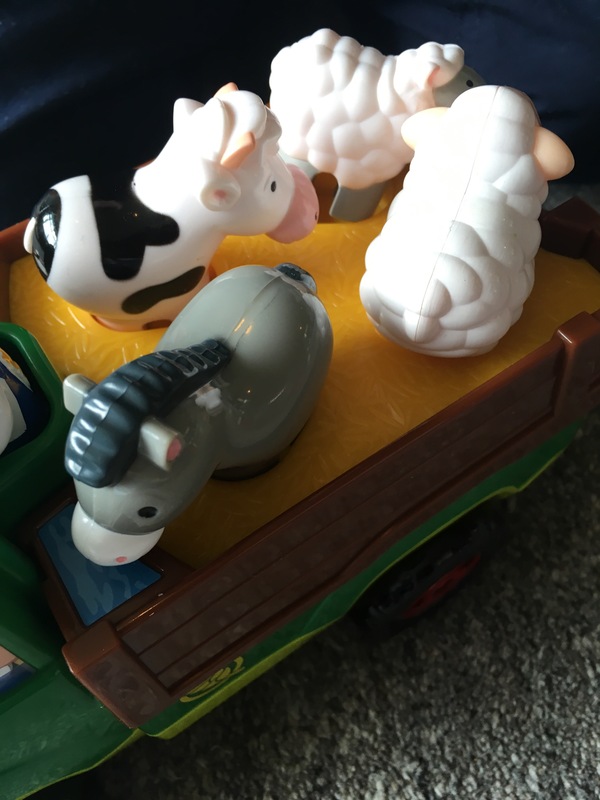 Mary was giving the lamb a ride in her cart, visiting Freddie’s farm and meeting the various other toys in our playroom. Mary’s Day Out even makes a ‘clippety clip’ sound as you push it! The children played happily for such a long time with both these lovely toys. Develop Speech & Language Skills- Both these toys really got our children chatting and developing their Speech and language skills. With our youngest, they helped reinforce animals names, sounds and colours. And for our eldest he was able to practise conversational skills by making up chats that the people were having with one another at the farm. It also made for a great discussion prompt, asking them to tell us what they knew about the animals, what they might eat, where they sleep etc. Teach Children about Animals- Most children love to learn about animals and it brings out their caring and nuturing characteristics . 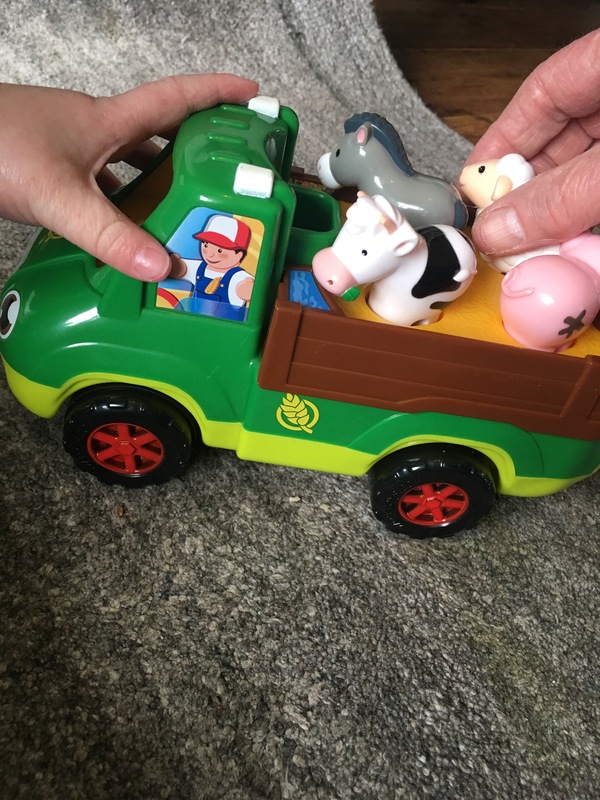 Ours loved learning all about the different farm animals that Freddie Farm Truck carries in his Truck and about the Horse and Lamb that Mary has. They were full of questions and in my opinion, play is the best way for young children to learn. Interchangeable- Now that we have a few of the WOW toys sets, we really noticed the benefit of how interchangeable the sets are. 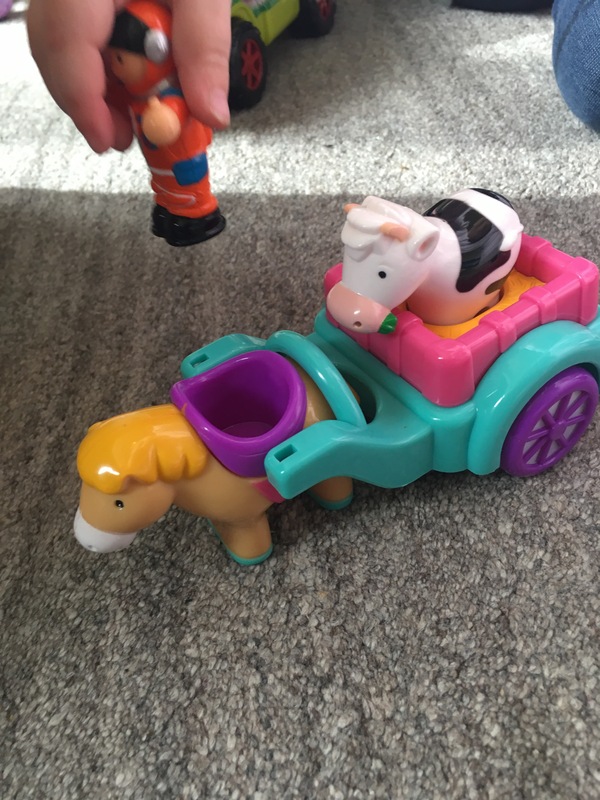 The people and animals fit into all of the WOW toys sets. 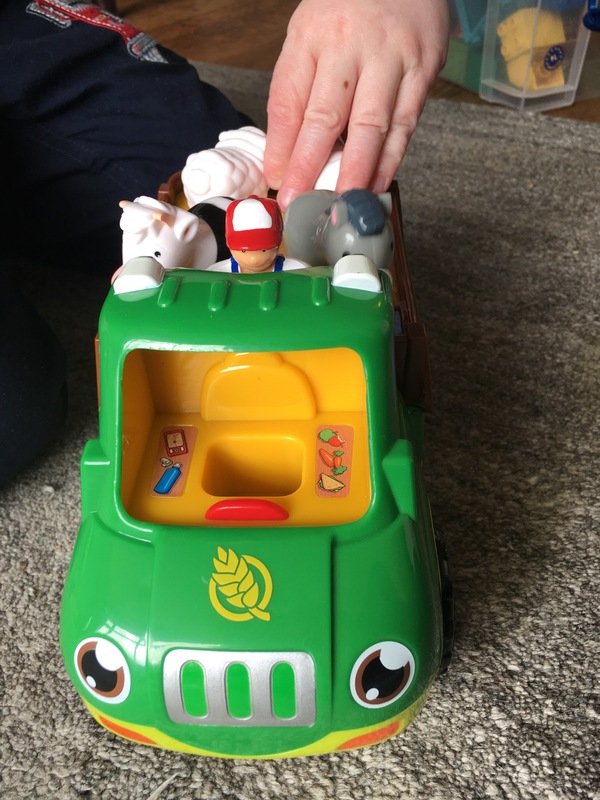 The children found it hilarious that the Policeman (who normally flies the Police airplane) and Ronnie (from Ronnie Rocket) could also ride Mary’s horse and Freddie’s truck! 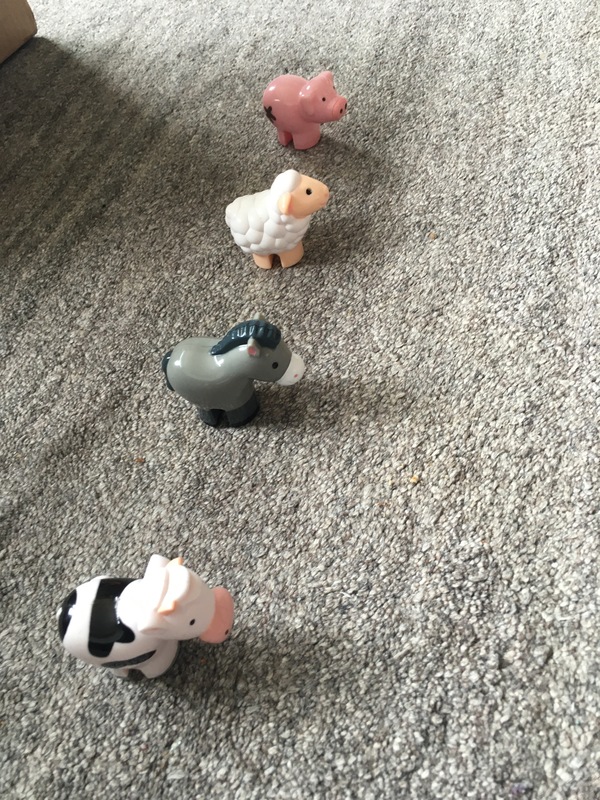 My youngest also quite liked making Mary ‘borrow’ farm animals from Freddie! 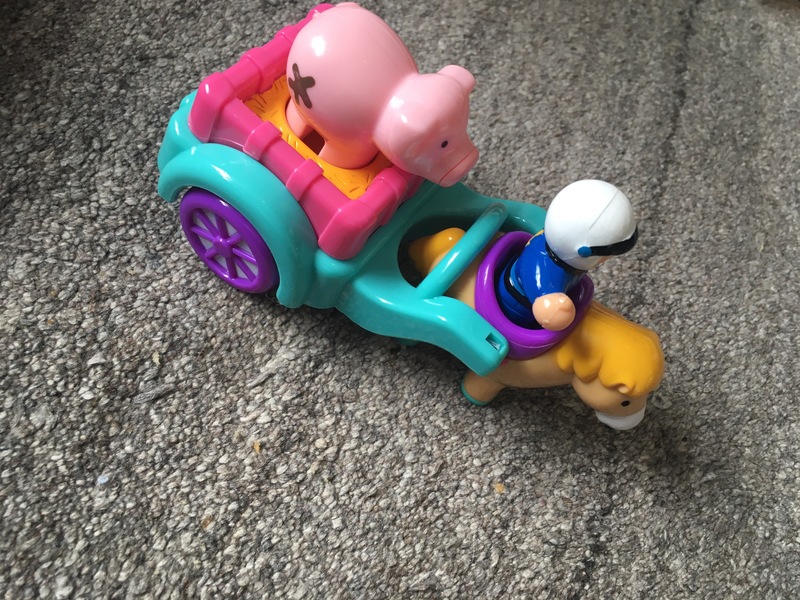 Suitable For a Wide Range of Ages and Abilities– Perhaps one of the best aspects of these toys, from a parental point of view, is that they can be enjoyed by babies, toddlers and young children equally. Each age group and ability gains something different from them. Babies might enjoy putting the people in and out of the vehicles and the cause and effect of pushing them. Whereas older children can have great fun with Imaginative Play, setting up miniature worlds and being a part of it. This means they are fantastic for siblings but also gives the toys longevity as they can be enjoyed for years. Buy them from Amazon by clicking on the pictures below. *Please note we were sent samples for the purpose of review. All thoughts and opinions are our own. This post contains Amazon Affiliate links, see our ‘About Me’ section for more details.